Fully optimize the way that HR Departments handle employee paperwork! New hires, managers and human resource departments will appreciate the efficiency, accuracy and flexibility provided by our new onboarding innovation. Native to iSolved, this paperless system notifies the appropriate personnel in a timely manner and takes them through all of the necessary steps, tasks and forms that are part of a proper company orientation. 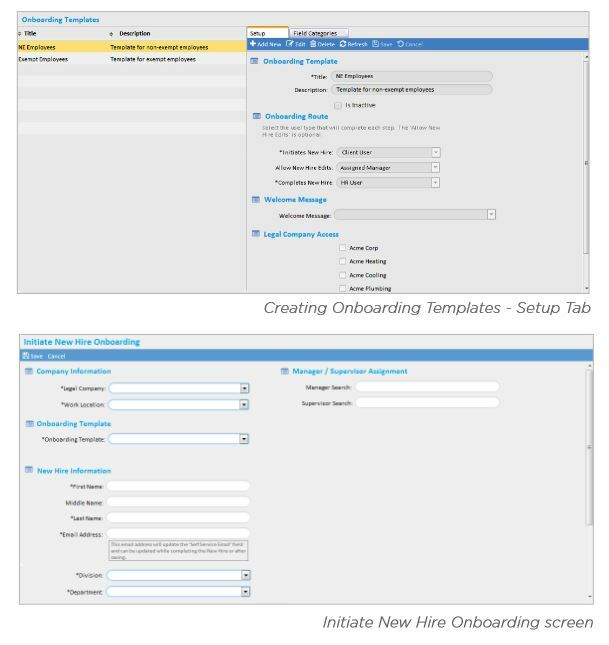 iSolved Onboarding will streamline and allow any New Hire to enter information directly into iSolved, avoiding multiple data entry.